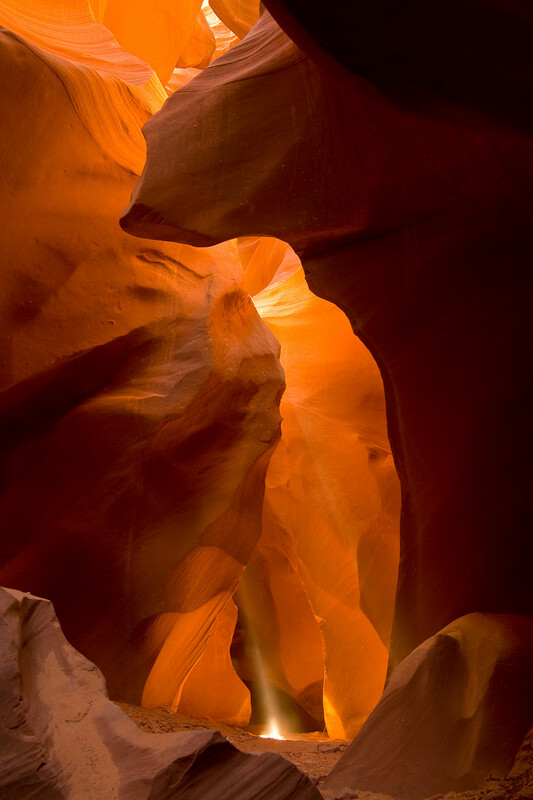 This images was taken in Antelope Canyon near Page Arizona on Navajo Nation Land. If you look at the rock it resembles the face of the chief. Throwing sand into the air at the right time accents the shaft of light hitting the ground.